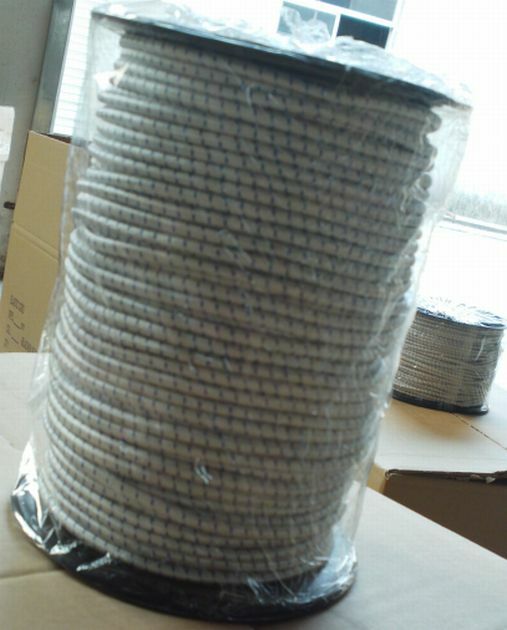 Bungee cord is anelastic cord composed of one or more elasticstrands forming a core, usually covered in a woven cotton or polypropylene sheath. 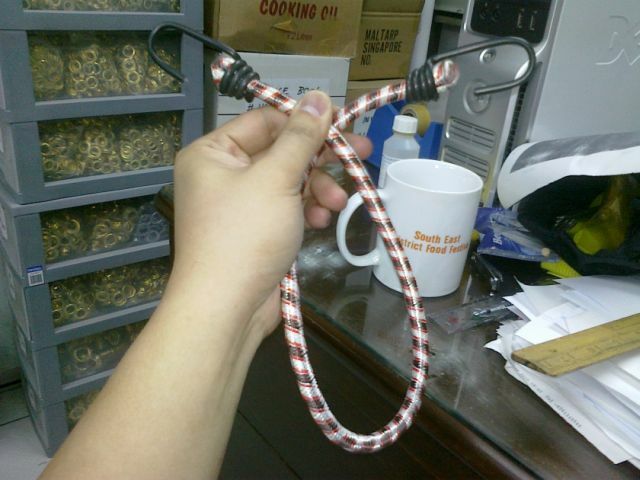 Bungee cords are most often used to secure objects without tying knots and to absorb shock. It can be used with a hook at each end, to bind items or packages together, to secure a suitcase to a wheeled carrier, etc. 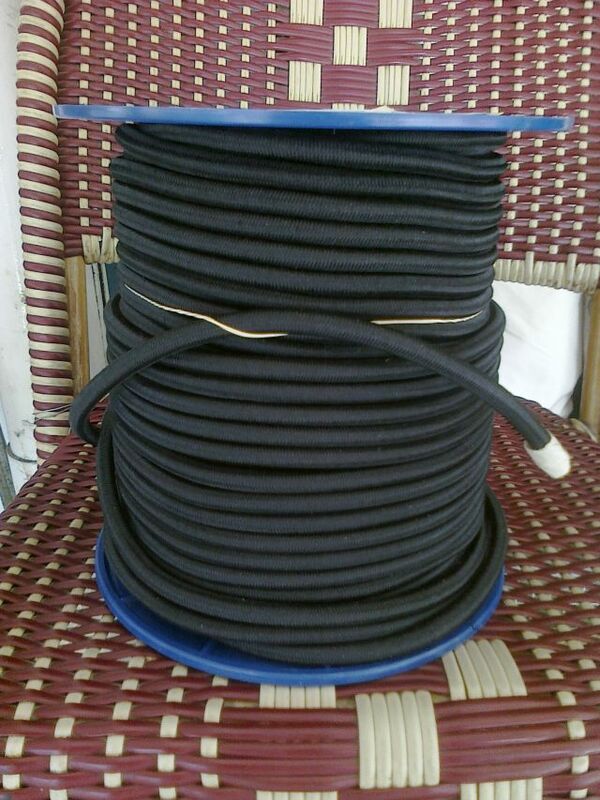 Our bungee cord comes in rolls of 100mtrs and thickness of 4mm, 6mm, 8mm, 10mm. 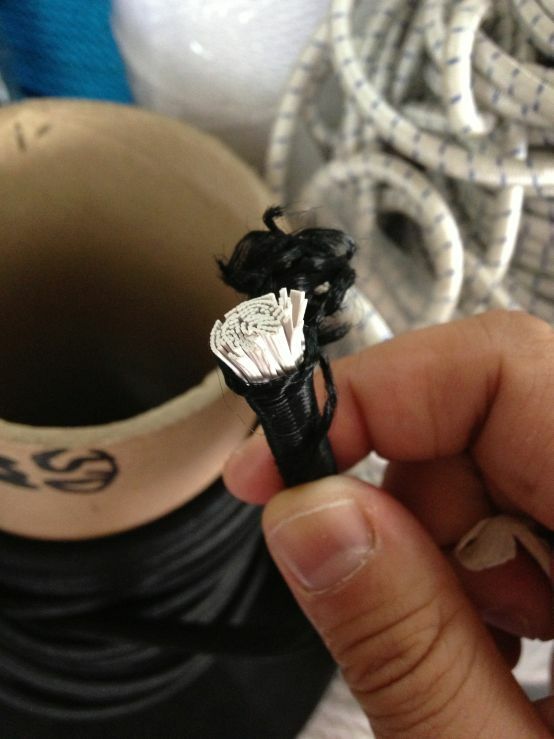 For general use and tying of goods.